MR. VENTRELL: Hey. Good afternoon, everybody, and thanks for joining us. Today, we’ve got an on-the-record conference call with Ambassador Daniel Benjamin, Coordinator for Counterterrorism, and Ambassador Daniel Fried, our Special Advisor on Camp Ashraf. And so we’re going to go ahead and start this on-the-record call. I believe Ambassador Benjamin will make some remarks at the top, and then we’ll turn it over to both of our speakers for questions. So let’s go ahead and start. AMBASSADOR BENJAMIN: Yes. Thank you very much. I wanted to talk today a bit about the situation in Iraq, where there is an impasse between the Iraqi Government and the Mujahedin-e Khalq, the MEK, over the relocation of residents from the group’s paramilitary Camp Ashraf to the temporary transit facility at Camp Hurriya. The Iraqi Government and the United Nations continue to encourage the secure, humane relocation of residents to Hurriya for refugee status determinations by the United Nations High Commission on Refugees. Almost 2,000 individuals have already relocated, but the remaining 1,200 to 1,300 are holding at Ashraf until various MEK demands are met by the Iraqi Government. The last convoy of individuals, about 400 people, was on May 5th. And the patience of the Iraqi Government is wearing thin. The MEK seems to have misinterpreted the June 1 order by the U.S. Court of Appeals for the D.C. Circuit. MEK leaders appear to believe that the Secretary has no choice now but to delist them. That conclusion is quite plainly wrong. In short, the court did not order the Secretary of State to revoke the MEK designation as a Foreign Terrorist Organization. As the Secretary has made clear, the MEK’s cooperation in the successful and peaceful closure of Camp Ashraf will be a key factor in her decision regarding the MEK’s FTO status. The court has told the State Department that it must act by October 1, but it did not mandate a particular result. I think that’s very important to underscore. The Secretary thus retains the discretion to either maintain or revoke the designation in accordance with the law. It is past time for the MEK to recognize that Ashraf is not going to remain an MEK base in Iraq. The Iraqi Government is committed to closing it, and any plan to wait out the government in the hope that something will change is irresponsible and dangerous. 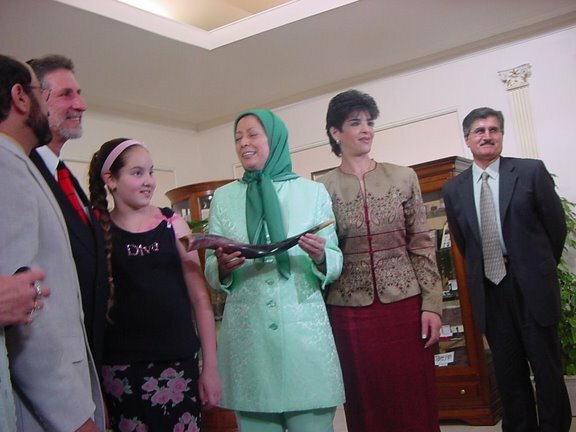 The MEK is a group whose violent history against the United States includes the bombing of U.S. companies in Iran, the assassination of seven U.S. citizens, and the provision of support for the attack, occupation, and hostage-taking at the U.S. Embassy in Tehran. The MEK is also one of the few foreign groups to attempt an attack on U.S. soil when, in 1992, it launched near simultaneous attacks in 13 countries, including against the Iranian mission to the UN in New York. Even the MEK itself has admitted to continuing violent attacks until 2001. With such a history, cooperating fully with the UN’s efforts in Iraq would be a tangible demonstration that the MEK has left its violent past behind and that it no longer retains the capability and intent to engage in acts of terrorism. This is the MEK’s moment to show that it has taken on a fundamentally different character. It should act quickly and complete the relocation and close Camp Ashraf. And with that, I’ll be happy to take your questions. MR. VENTRELL: Operator, if we can go ahead and get the first question. OPERATOR: Thank you. Once again, if you would like to ask a question, please press *1 on your touchtone telephone. You will be prompted to record your name in order to be introduced. Once again, press * and 1. One moment. Our first question comes from Bahman Kalbasi from BBC Persian. Your line is open. QUESTION: Thank you. I have two questions for the ambassadors. You talked about tangible change in their behavior. If the criteria for removing them from the FTO is to not have the capability and the intent, how does changing the location from Ashraf, as the Secretary has indicated, gets them closer to that removal? U.S. Government has said to NBC, for instance, that as late as February, that they were involved with the assassination of scientists in Iran. And my second question really is that if you end up removing them, mindful of the unprecedented lobbying that is going on, are you worried that this will politicize the FTO? It will show that at the end of the day, politics trumps everything else? AMBASSADOR BENJAMIN: Let me take the second question first. The – any decision, one way or the other will be taken entirely on the merits, and we’re committed to doing it that way and no other way. And that’s our requirement under the law. On the other point, I can assure you that I have never said that they were involved in current assassinations in Iran. That was a story that ran, and I have no information to confirm that, so I certainly wouldn’t have said it. What I have given you is the established record, and nothing more and nothing less. QUESTION: But how does it – removing them from Ashraf change the issue of intent? AMBASSADOR BENJAMIN: Right. Well, the history and the use of Ashraf is that of an MEK paramilitary base. It’s where the MEK had its heavy weaponry and from which it carried out a number of military operations during the reign of Saddam Hussein. The MEK’s relocation will assist the Secretary in determining whether the organization remains invested in its violent past or is committed to leaving that past behind. And that really is going to be a very important illustration – or demonstration, I should say – of what the MEK’s orientation in the future will be. So I do want to say that it is an absolutely essential move and we hope that they will get – move forward with it. MR. VENTRELL: Operator, can we get the next question? OPERATOR: Our next question will come from Robert Burns – your line is open – from the Associated Press. QUESTION: Yes, thank you. Regarding your encouragement for them to complete the relocation, if they don’t complete the move by October, is it the case that they won’t be de-listed? AMBASSADOR BENJAMIN: I’m not going to prejudge the Secretary’s action on this, but she has made it extremely clear how important this step is. And she is sticking by that and this is the message everyone involved needs to understand. OPERATOR: Our next question will come from Mehrnoush Pourziaiee from BBC. Your line is open. QUESTION: My question is regarding the dates that Iraqi Government has given, which is 20th of July for the closure of Camp Ashraf. And has there been any communication with U.S. Ambassador in Iraq and Iraqi Government on the Iraqi side plans in case the relocation is not complete by that time? AMBASSADOR FRIED: This is Daniel Fried speaking. Our charge in Baghdad, Steve Beecroft, has been in contact with the Iraqi Government at senior levels on more than one occasion recently about the situation with respect to Camp Ashraf. Specific to your question, you are right that July 20th is a date set by the Iraqi Government by which they want Camp Ashraf to be emptied. Now, in the past, the Iraqi Government has extended deadlines when there has been significant progress in moving people out of Camp Ashraf, and it is our hope – though only a hope – that if there is significant progress in the next two weeks, that deadline could be extended. However, that puts – that date should put everyone on notice and the MEK on notice that it needs to proceed with the next convoy of people out of Camp Ashraf. There have been five convoys. All have been successful; that is, they went from Camp Ashraf to Camp Hurriya peacefully, without roadside bombs or attacks. And this process needs to resume. QUESTION: And in the previous briefing, the officials of State Department mentioned that there has been no communication from MEK with UN officials or Iraqi Government, and they have stopped all the communication. Have you tried different channels to get this message to them, or what are you doing to make sure that they get the seriousness of this issue? AMBASSADOR FRIED: Well, I’m happy to tell you that after a lot of work, communications have resumed. It took a frustratingly long period of time to arrange it. But Ambassador Kobler, the head of the UN Mission in Iraq, is back in contact with the MEK, has allowed this contact to resume. So these messages have been sent. It is – we are all – that is, the U.S. Embassy – we at the State Department and the UN are all working hard to address as many legitimate concerns of the residents of Camp Hurriya and Camp Ashraf as we can in order that conditions be met for convoys to resume. And we do think that the Government of Iraq could and should do more to address these legitimate humanitarian concerns and show generosity to the residents. And there has been some progress in that regard. We hope that this progress – in fact, it’s imperative this progress be made swiftly and that the convoys of residents resume. QUESTION: And Ambassador Fried, I have a question regarding Camp Ashraf itself. 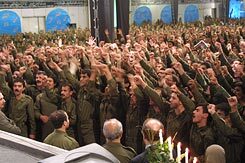 We have various accounts of people who have been a member of MEK before talking about the horrible situation in the organization and relations which is in Camp Ashraf and the relation between the members and how the human conditions of the Camp and the situation they live in because of the setup from the MEK. Can you elaborate on living condition in Camp Ashraf a little and tell us if all these stories are true or there’s no truth into them? AMBASSADOR FRIED: Well, I am familiar, as you are, with all sorts of stories about life in Camp Ashraf. I can’t confirm or deny any of them. We just don’t know, but I’m familiar with them. Our purpose is humanitarian, however. Our purpose is neither to advance the interests of the organization – hardly – nor is it to fight the organization. Our interest is in saving the lives of the people that are there as individuals and helping them find – helping them get out of Ashraf safely to Camp Hurriya, and then out of Camp Hurriya to a life outside of Iraq. That is our purpose; it is humanitarian. QUESTION: And The Washington Post report yesterday about the meeting between MEK advocates with senior Administration officials, can anyone elaborate on this and tell us if this is true and where and with whom the meetings has taken place and what is the nature of them? AMBASSADOR FRIED: Well, I can certainly confirm that we have responded to inquiries and communicated with all kinds of private parties, including former U.S. Government officials, members of the European parliaments, and other advocates. We have made clear in all of these communications that the only viable option to resolving the issue of Camp Ashraf is a peaceful solution. We have offered our perspective on what is necessary for that to be achieved, and we offer that perspective knowing full well that these persons had a preexisting dialogue with the MEK, and we believe that they have conveyed our views to their MEK interlocutors. Now, they’re not representing the U.S. Government as they do so, but we believe they have passed these messages back. So I’m certainly not going to deny the fact of these contacts. I’m not going to get into the details either. OPERATOR: Our next question will come from Jill Dougherty from CNN. Your line is open. QUESTION: Thank you very much. I just wanted to find out, legally, what can the Iraqi Government do if that date of July 20th comes? Can they physically remove the people? What legally are they entitled to do? AMBASSADOR FRIED: Well – this is Dan Fried. I’m not a lawyer at all, much less an expert on Iraqi law. As I understand it, the Iraqi Government views them as in Iraq illegally. That’s their official position. 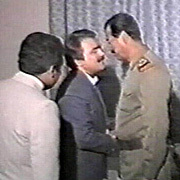 They do not regard the invitation extended by Saddam Hussein to the MEK as valid, especially given the history of the MEK in Iraq. That said, the Iraqi Government has confirmed repeatedly and publicly that it also seeks a peaceful, humane solution to this problem. They have confirmed that bilaterally to us. We welcome this confirmation, and we intend to work with the Iraqi Government so that only a peaceful solution is followed. QUESTION: So then I’m presuming that that is the – if you are giving any advice to the government or advising them in any way, that that is what you’re saying, it has to be peaceful? 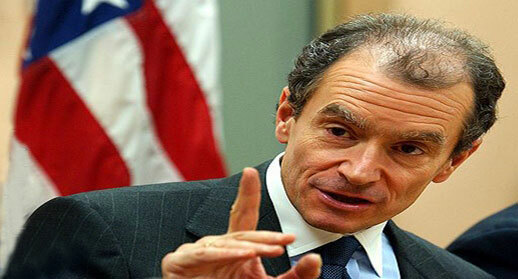 AMBASSADOR FRIED: Absolutely right. That has been our message front and center. We have worked with the Iraqi Government. Given Iraqi conditions, I’m more impressed by the progress that has been made than concerned by the problems that remain. This is Iraq. Things often do not go well in Iraq. Given that spectrum, we’re doing all right so far, but the situation remains precarious, and it is up to everyone to work to see that Camp Ashraf is emptied soon and peacefully. OPERATOR: Our question will come from Jonathan Broder, Congressional Quarterly. Your line is open. QUESTION: Yes, I’d just like to ask: Why is this Administration so concerned about humanitarian issues involving a terrorist group? AMBASSADOR BENJAMIN: We’re interested in humanitarian issues full-stop. And I think it’s important to underscore that many of the people in this camp are not likely to have participated directly in terrorist attacks, although we don’t know on a case-by-case basis. And in any case, we would seek to protect any such group that was essentially holed up in a camp if they were threatened with violence. So this is in keeping with our values. I should also underscore that we also are interested in whether or not any particular group is involved in terrorist activities, whether it’s directly aimed at us or at others. This is – these are the lights we steer by. So I don’t see any problem with that. I would like to go back to the issue that was asked before regarding lobbying, and I do just want to underscore that when it comes to the designation itself, we have not met with any lobbyists or others. There was, in fact, one gentleman who came into my office under false pretenses from a foreign country to lobby for the MEK, and he was promptly thrown out. But other than that, I’ve had no conversations on this issue. And again, to underscore, we’re just looking at the merits of the particular case. MR. VENTRELL: Operator, we’ve got time for just one more question. OPERATOR: Our next question will come from Christina Wilkie from Huffington Post. Your line is open. QUESTION: Could you please give us a better sense of the types of demands that the MEK is making of the Iraqi Government and the stipulations the Iraqi Government is placing? Are they – are the MEK’s demands generally realistic? Is it your position that they’re actually intended – that they – that they’re realistic to get, or are they – do you think this is being set up so that there’s an inevitable conflict? AMBASSADOR FRIED: That’s a very good question, and I’ve asked myself that as well. Some of the MEK demands are reasonable. For example, given the hot weather in Iraq, they’ve requested more air conditioners. The Iraqi Government has agreed to provide them, that is agreed to allow a special shipment of air conditioners from Camp Ashraf to Camp Liberty, and this is being arranged as we speak. Some of the other demands strike me as not central – for instance, private cars. Well, that’s not an issue critical to basic humanitarian needs. You’ve asked a question about the MEK’s intentions. I can’t answer that with full knowledge. They, of course, say that all they want are their basic humanitarian needs to be met. But it has been frustrating to deal with constantly shifting demands, many demands. We find that U.S. Embassy and State Department and the UN will work to resolve problems and, a la whack-a-mole, you find that new ones – you’re constantly presented with new ones. But hopefully, the next couple of weeks – in fact, it’s critical that the next couple of weeks will be a period in which some of these issues are resolved, enough so the MEK will allow convoys to resume. That’s absolutely critical. MR. VENTRELL: Okay. Thank you all for joining today’s call. Any other last remarks from either of the ambassadors? AMBASSADOR BENJAMIN: Yes. Again – Daniel Benjamin here – I really just wanted to emphasize again one point that I made at the outset. The Secretary of State can – is within her rights in either listing – re-listing or de-listing. And that really is the bottom line here, and no one should be unclear about that in any way. And that’s really all I have to say. MR. VENTRELL: All right. Thank you all. Have a good afternoon. Kobler: Iraq the only negotiator part with UN. Kobler urges Iraq to cooperate to complete the transfer of the remainder residents of Ashraf camp / Liberty /. BAGHDAD / Nina / the Special Representative of the United Nations in Iraq, Martin Kobler urged Iraqi government to cooperate to complete the transfer of the remaining residents of Camp Ashraf to Freedom Camp / Liberty /. The United Nations mission in Iraq / UNAMI / quoted Kobler as saying in a press release today: "almost six months passed since the signing of a memorandum of understanding between the United Nations mission to help Iraq and the Iraqi government to move the residents of Camp Ashraf to camp freedom peacefully, almost 2,000 residents transported in a peaceful and orderly to the camp of freedom and the remaining residents are 1200 residents only." He added: "It is important to complete the transfer process in the coming weeks, so we rely on the constructive spirit of all parties," reminding the Iraqi government" its responsibility for the safety and security of the residents and not to resort to non-peaceful means". He continued "The Iraqi government is the only negotiator part with the UN mission about the residents of Camp Ashraf, Camp Liberty, according to the memorandum of understanding, we will continue to emphasize the respect of the principle of non-Forced relocation and that will not deport any of the people involuntarily to his homeland". State Department urges immediate full cooperation of Mojahedin Khalq with the Iraqi Govenment and U.N. The United States remains concerned about the situation at Camp Ashraf and urges the residents of Camp Ashraf to resume full cooperation immediately with the Iraqi Government and United Nations Assistance Mission for Iraq (UNAMI). The United States also urges the Iraqi Government to intensify its efforts to fulfill its commitments to provide for the safety, security, and humanitarian treatment of the residents. With almost 2,000 former Camp Ashraf residents now relocated to Camp Hurriya, the peaceful closure of Camp Ashraf is achievable, but requires continued patience and practical engagement to be realized. Constructive offers must be met with a constructive spirit, and not with refusals or preconditions to engage in dialogue. Recent publicly-declared conditions for cooperation, including calls for the Department to inspect Camp Ashraf as a precondition for further relocations to Camp Hurriya, are an unnecessary distraction. The United States has made clear that cooperation in the closure of Camp Ashraf, the Mujahedin-e Khalq’s (MEK's) main paramilitary base, is a key factor in determining whether the organization remains invested in its violent past or is committed to leaving that past behind. We fully support the path laid out by the United Nations for the peaceful closure of Camp Ashraf along with sustainable solutions for its former residents. The Camp residents and their leadership - both in Iraq and in Paris - should recognize this path as a safe and humane resolution to this situation. Only a peaceful implementation of the Iraqi government’s decision to close the Camp is acceptable, and the Iraqi government bears the responsibility for the security and humane treatment of the individuals at Camp Ashraf. • UNHCR has been for some time and remains ready to undertake verification andrefugee status adjudication for the residents of Camp New Iraq (formerly Camp Ashraf) who are persons of concern. It has mobilized teams on the ground, and has put in place the necessary soft and hard ware support capabilities. Individual interviews will need to take place in a safe, neutral and confidential location. • The stipulation of the Government of Iraq remains that these processes take place outside Camp New Iraq, in the new location which is being provisioned to enable the residents voluntarily to move there and to stay on a temporary basis in safe and decent conditions. UNHCR has been advising on the technicalities of improving the camp infrastructure. • UNHCR attaches utmost importance to peaceful solutions being found, including that any relocation outside Camp New Iraq proceed on a voluntary basis, with freedom of movement the most desirable state at the site of relocation. • UNHCR is currently looking at how to expedite verification and RSD processing so as to enable it to be done on an individual basis fairly, fully but also speedily, in the interests of gaining time against tight deadlines. • Camp residents who have submitted requests for refugee status are formally asylum seekers under international law whose claims require adjudication. In the absence of a national system of adjudication in Iraq, UNHCR will consider these requests on an individual basis in a fair and efficient procedure. Each individual case will be judged on its merits and in accordance with international law. • UNHCR, together with the Government of Iraq, UNAMI and other concerned actors, remains committed to finding solutions to this long-standing problem, including resettlement and/or relocation to third countries. * This document will be updated as needed.